OXA - ABET is a concentrated neutral detergent product specially formulated for cleaning floors and, generally, all surfaces. 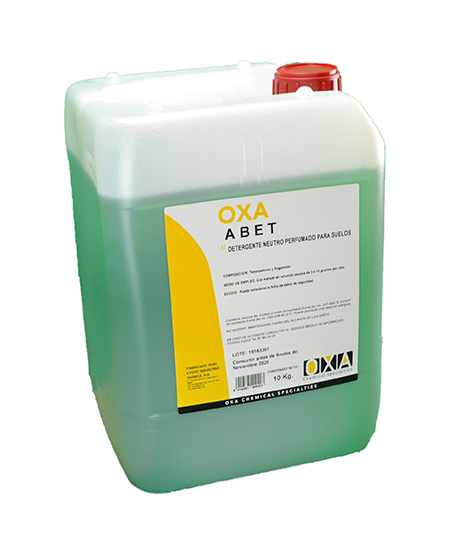 OXA - ABET provides the aqueous solution in which is deluted a low surface and interfacial tension and a high cleaning effect, degreasing and dispersing dirt effect. After application leaves a pleasant fir tree fragrance providing freshening effect. Do you want to access the MSDS for this product?